June, 2018 | Mavroff Inc. Ever wonder why some homes at first glance just look put together? You can’t quite put your finger on it, but the lawn, the home, everything just looks … put together. Well, search no further for the hidden secret to the perfect lawn because right here we have three tips that will totally transform the way your lawn looks so that you too will be the proud owner of a “wow, I don’t know what it is but their yard is stunningly put together” home. Mulch not only helps prevent unsightly weeds from popping up, helps keep water in the ground to ensure longer and healthier plant lives, regulates soil temperature to prolong vegetation life, among an assortment of other benefits but it also, when applied properly, brings your entire home and yard together for a beautiful finish. So, how exactly does one “properly” apply their mulch? …. 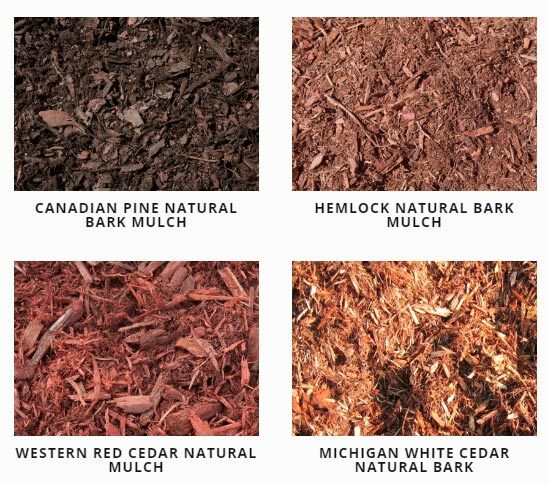 Using the same mulch type (Canadian Pine Natural Bark Mulch, Hemlock Natural Bark Mulch, Large Pine Natural Bark Nuggets, etc.) which also includes using the same color throughout your entire yard will help to unify the entire landscape. Don’t underestimate the aesthetic value of a well mulched landscape. Mulch, when used correctly has the added benefit of enhancing your overall landscape theme. It is recommended that you first focus on your vegetative cover such as shrubs to cover the soil and then you move on to adding the mulch. This will ensure a well rounded landscape. The visual to the right of this section is a clear indicator of just how effective the right mulch can be, but also highlights the damage the wrong mulch can do to your landscape. Don’t let the natural beauty around you be the demise of the beauty you create. Soil can add to the landscape when used properly with mulch, but when not properly utilized together, the soil can act as a black plague. The soil can disrupt vegetation by spreading soil-borne diseases which will inevitably upset the overall fung shui you’ve so devoutly built for your yard. When applied properly, the mulch will act as a control factor to keep the soil in place ensuring all your hard work stays pristine throughout the seasons. Thanks mulch! For those of you with trees on your property, make sure you don’t overlook those spots when mulching. These spots can prove vital for the way you choose to landscape with mulch for your trees. 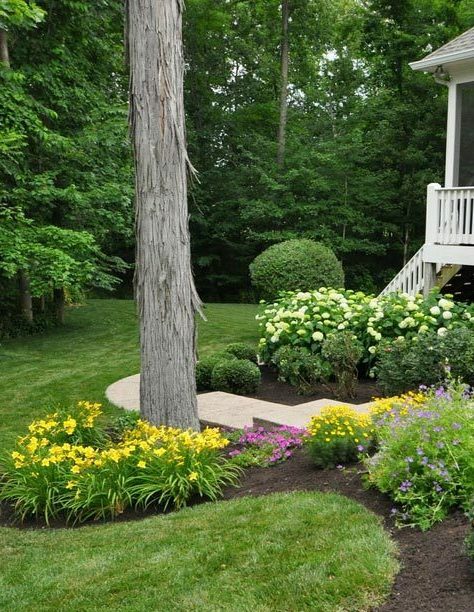 Using the same mulch around tree beds will not only continue to bring the entire landscape together but it will also act as a barrier to protect the trunks from damage caused by lawn equipment and other outside factors. However, and this part is imperative to the health of your trees, make sure you PROPERLY apply the mulch around these areas. These areas specifically require extreme precision in the way you lay down your mulch. While the mulch is intended to do your trees good, it can do more harm than good when not applied properly. For more information on properly applying mulch click on the following link How to Apply Mulch. With that being said, do your trees a favor and give them the longest, most pristine life possible, surround them with mulch (just do so correctly!). With help from Mavroff you too can end up with a clean, upscale looking yard that you’ve been longing to achieve and seamlessly become the envy of all the neighbors with your dazzling landscaping skills. Mavroff, The Mulch Man, is able to provide you with a plethora of mulches that fit your specific style ensuring a stunning yard for you and those who pass by to enjoy. 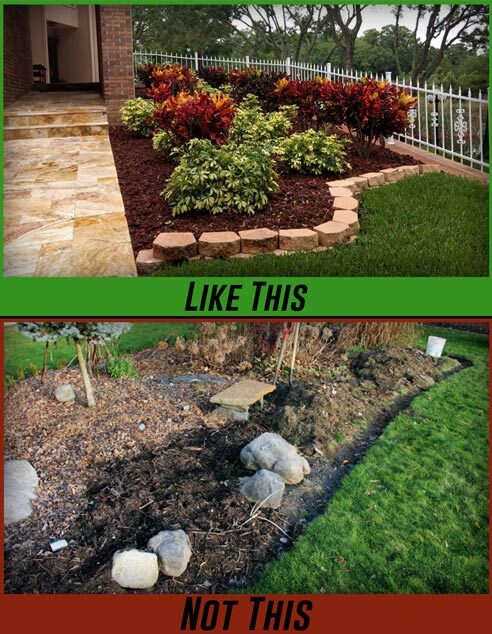 Stay tuned for more tips and tricks to help you achieve the perfect landscape look with Mavroff’s various mulches!